A bit of colour on a dull day. Yesterday’s post was about pericallis in the wild and I mentioned Senetti, the recent hybrids that are popular as late spring bedding and patio plants. Well there are two new colours for this year that may make their way into the mix of colours in your local garden centre. Although I still like the blues best, because they are such a striking shade, the new ‘Grape’ is a valuable addition to the range with its dark purple flowers. 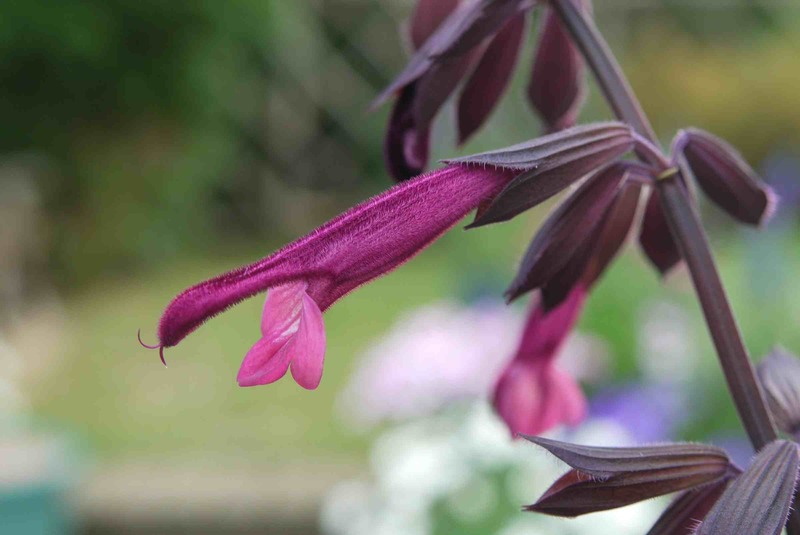 Also new is salvia ‘Love and Wishes’ which has just won the Best New Variety in the Bedding and pot plants category at the UK Grower Awards 2016. It was bred by Australian plant breeder John Fisher and was launched at Chelsea Flower Show last year when it was ranked third in the New plants competition. From what I can see, it is similar to the beautiful and amenable ‘Wendy’s Wish’ which is a staple in the garden here, but has darker flowers. I assume it will be of similar hardiness, tolerating a light frost at the end of the season but basically half hardy. 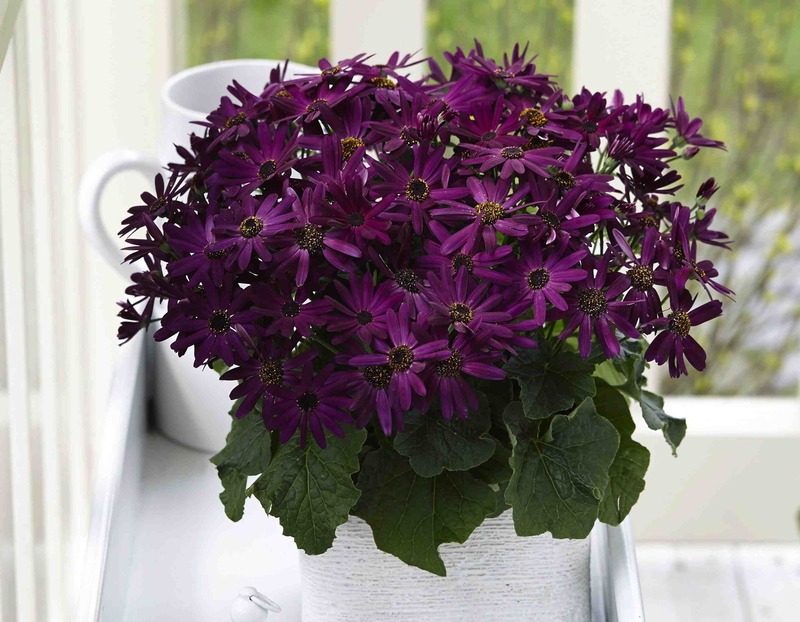 It has green foliage but dark bracts and stems and would make a good companion for ‘Wendy’. It should be available this year. It is said that it is attractive to bumble bees but I have a sneaky feeling the flowers are too long for their tongues and they will feed by biting through the back of the flowers – annoying for the salvias but just as tasty for the bees. 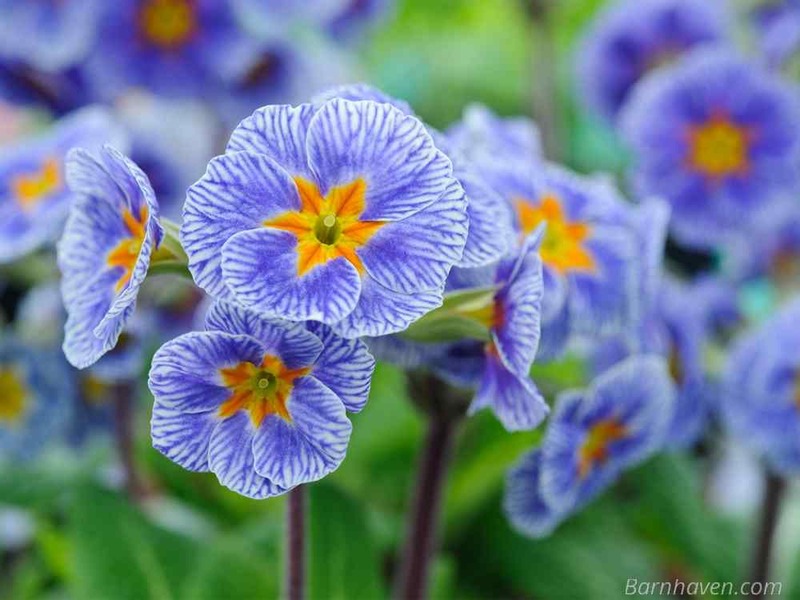 And, in case you are missing some pretty polyanthus in the garden this year, Barnhaven have a special offer on for February with all their ‘Victorian’ polyanthus seeds and plants on offer so now is the time to treat yourself.